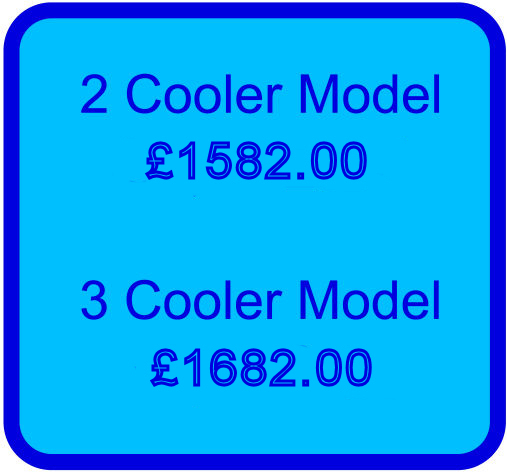 We stock Wine Coolers capable of chilling wine in a few minutes. Welcome to Wine Bottle Coolers, the website for Kula Products this website is dedicated to a very unique product. 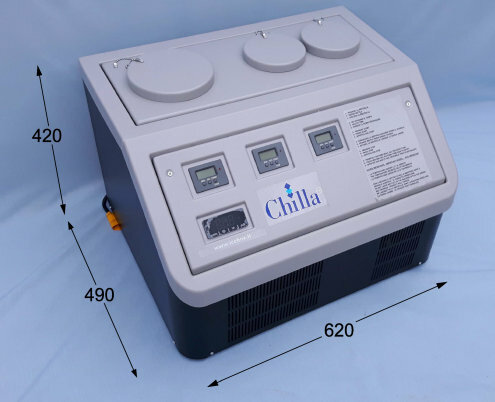 It is in essence a bottle chiller, more than that it is a small compact bottle chiller, more still it is a rapid bottle chiller. It is a cleverly designed wine cooler but without the cost of large traditional chilled wine cabinets. The bottle cooler is capable of chilling a bottle of wine to the best temperature for consumption in just a few minutes. The drinks cooler is capable of reducing temperatures of any bottled drink or beverage in a very short amount of time, ranging from 2 minutes to 8 minutes depending on the starting temperature of the bottle and the thickness of the glass from which it is made. As you can see from the image the Wine Bottle Cooler is sleek and modern in design; a product of function and design the rapid bottle cooler is tidy, simple and geometric in shape, which means that it will fit neatly into a small space. It is a totally unique and ingenious modern system originally designed as a wine cooler, the new sleeve allows for it to be used to be a beer chiller or drinks cooler in general. Microwaves revolutionised kitchens, because if you needed to you could heat something up in minutes; in much the same way but reversed our bottle cooler is capable of reducing the time to chill drinks.